A rodent of the genus Rattus. 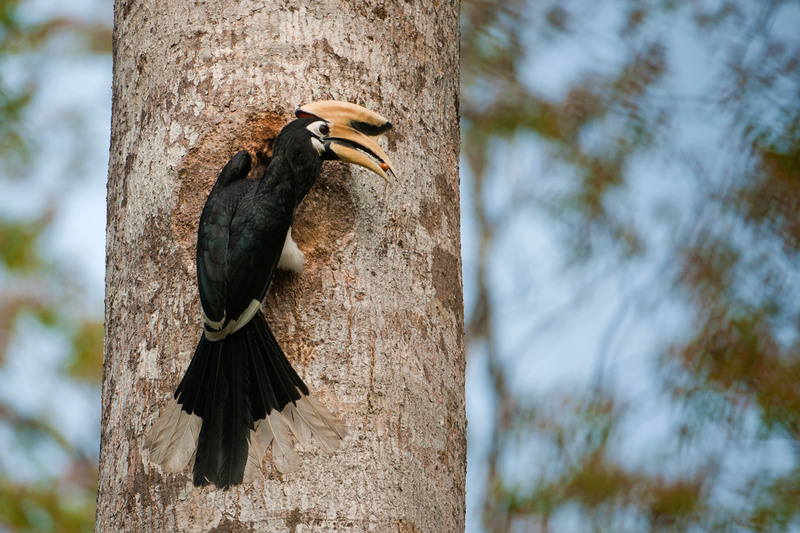 Credit: Harikrishnan S.
In the lush, tropical forests of Pakke, nestled in the Himalayan foothills, fruit-eating animals—hornbills, in particular—are vital seed dispersers. But another little-studied group of animals also plays a significant role in affecting the fate of seeds. The animals in question: rodents! 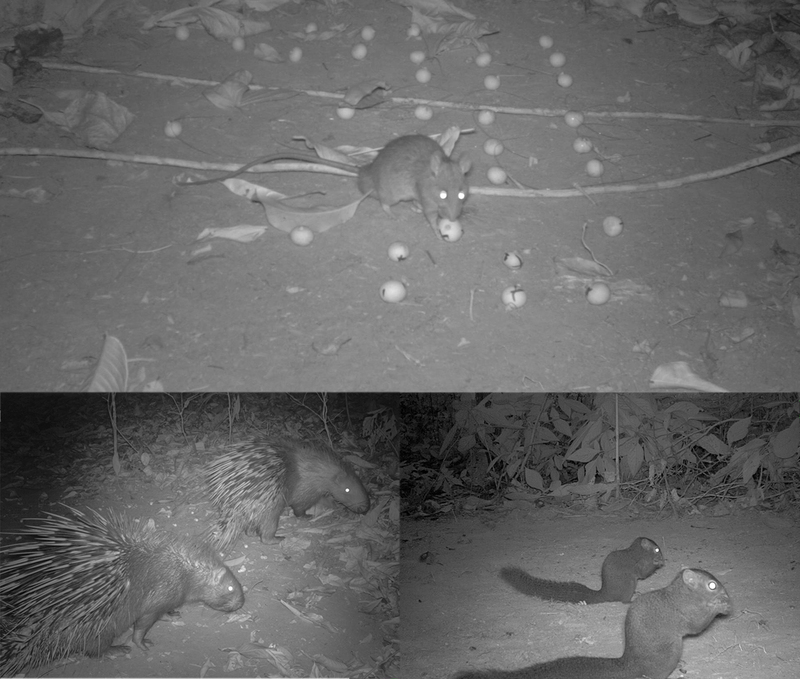 Researchers from the Nature Conservation Foundation followed the fates of 10,777 seeds of 10 tree species, using camera-traps to determine the identity of rodent visitors, how often they visited the sites, and how they handled the seeds—whether they were consumed on-site, or stored for later (or “cached” in scientific parlance). Around 1,000 rodent visits from over 26,000 photographs were recorded. The seeds were handled by two species of rodents of the Muridae family, one species of squirrel (the hoary-bellied squirrel) and two species of porcupines (the Himalayan crestless porcupine and the Asiatic brush-tailed porcupine). These rodent groups handled the seeds in different ways—the murid rodents carried away and cached seeds and were never observed eating them on-site, the porcupines preyed on the seeds on-site and were never observed carrying them away, while the hoary-bellied squirrel both preyed on and cached seeds. Researchers of this study found that overall, rodents stored four times as many seeds for later (~44 percent) than they consumed on-site (~10 percent). And 12 percent of these rodent-cached seeds were even found to have germinated! Hornbills and several other fruit-eating birds, along with a few mammal species are the primary seed dispersers in the forests of Pakke. Although hornbills scatter-disperse seeds while foraging in the forest all through the day, they typically disperse seeds in clumps at nest trees during the breeding season, and at roost trees—areas where the chances of seed survival are pretty low. nest and roost trees——areas where seeds and seedlings have poor survival. After seeds are dispersed by primary dispersers, they may be carried further away from the parent tree by secondary dispersers like ants, dung beetles, and in this case—rodents. 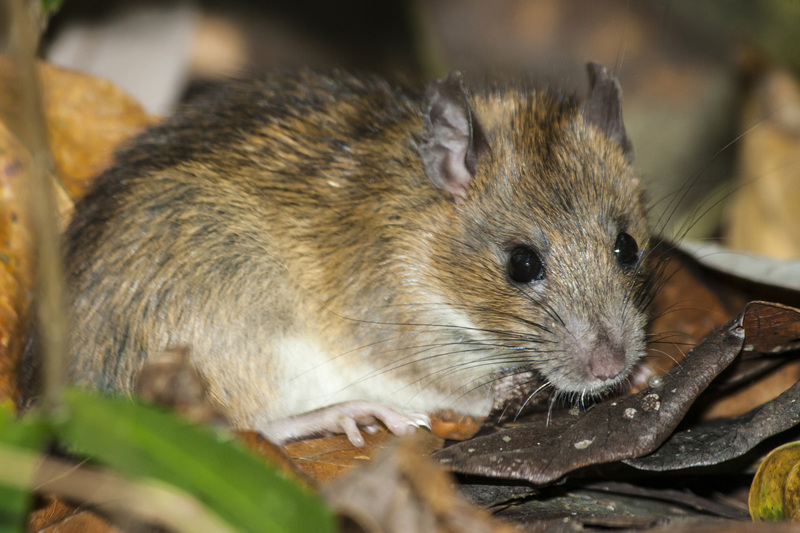 Rodents carry away, bury and store seeds for periods when there’s a shortage of food. You’re probably wondering—but what’s in it for the parent trees? Well, this scatter-hoarding actually moves the seeds away from the parent trees—where there’s plenty of competition for sunlight, water and nutrients and from on-site predators—to places where the seeds face lesser competition and have a better shot at establishing themselves. Rodents scatter and cache way more seeds than they can possibly retrieve or remember where they had hidden them, and some seeds may eventually escape being eaten and grow into seedlings! Several studies are indicating that certain tree species and rodents benefit from this mutualistic relationship—rodents depend on these stored seeds in times of fewer resources, and trees in turn depend on rodents to move seeds away from high-density areas, scatter them, and occupy new areas of land. “The ultimate aim of the rodent is to eat the seeds, and so the relationship between trees and rodents is not as obviously mutually beneficial. But because rodents move seeds away from high-density clumps where survival of seeds and seedlings is poor, and because they do not retrieve all the seeds that they cache, the relationship tends to be mutualistic,” Aparajita Datta, one of the authors of the new study, explained. The study found that these wise rodents didn’t like to put all their eggs in one basket! Almost 90 percent of the rodent caches had just one or two seeds—this scattering makes the seeds less vulnerable to fungal and insect infestations, and less conspicuous to predators. 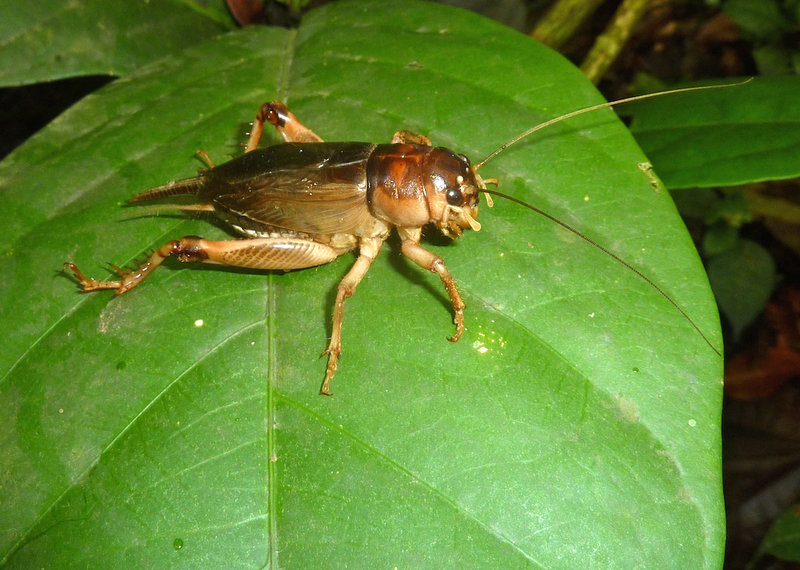 In addition to tracking the role rodents play in moulding the fate of seeds, researchers chanced upon another exciting observation—the first known record of a cricket species caching seeds. And what’s even more interesting is that a high percentage of seeds buried by the cricket (which belongs to the genus Brachytrupes) actually grew into seedlings! The cricket was observed caching the seeds deep underground—this kind of deep burial provides optimum conditions for the seeds to sprout, researchers say. The study is the first to document a species of true cricket caching seeds. Most of the tree species in the study site are considered to be dispersed by animals­—birds, in particular—and evidence of lesser-studied creatures, like rodents, playing vital roles in dispersal and in aiding the survival of seeds offers new and important insights to the current knowledge of secondary seed dispersal. 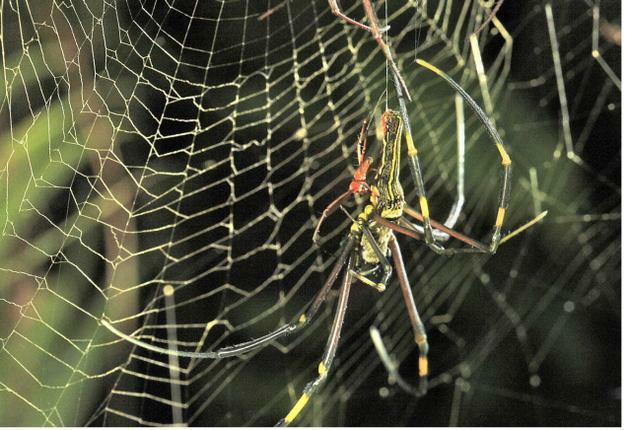 However, researchers point out, much more research on seed dispersal and predation by rodents is necessary to understand the prevalence and importance of these mechanisms in a forest. 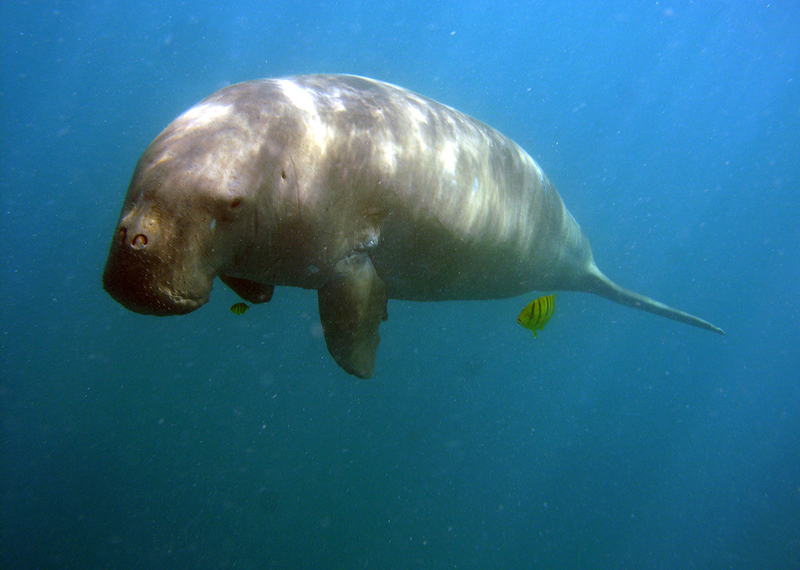 The study was published recently in the journal PLoS ONE and can be accessed here.